Hannah is, as I said, a hard watch. It’s not easy to get into, there’s barely any dialogue, every minute of it makes itself felt and you always wait for some bigger revelation that doesn’t come – because there is no big twist: what you suspect is true. There is no need to put it more explicitly, to delve deeper into what happened. What Hannah concerns itself with is what’s happening now. And what’s happening is a very precise, understated character study of a woman caught in a very, very difficult situation. Her struggles are portrayed with a lot of sensitivity and attention to detail. 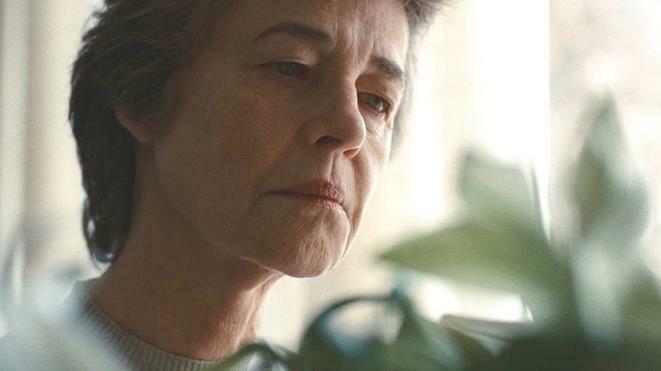 Rampling gives a stunning performance that is matched, if not surpassed by the absolutely stunning cinematography: Every frame here is deliberate and expressive. I’m less happy with the way disability used in the film (another thing it has in common with Medeas. It becomes a metaphor here, ladden with meaning and we should really stop using disabled people/disability that way. Even though the metaphor is strong: disability is not here to make points about abled existence. Other than that, the use of metaphors here was really great, though. 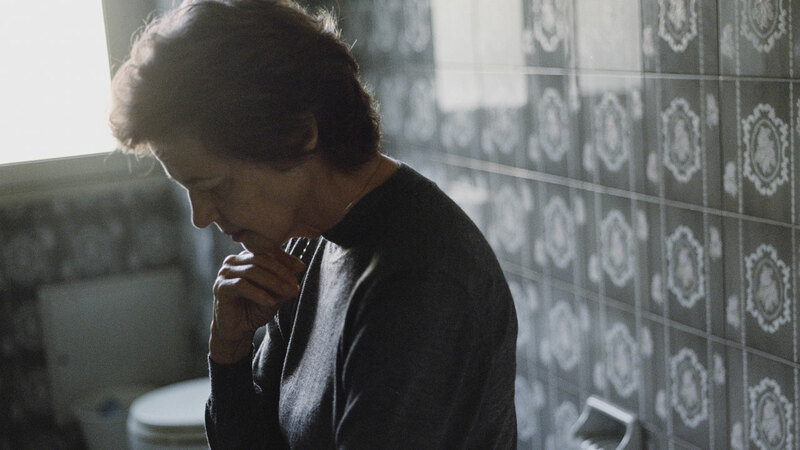 The result is a tough film that asks hard questions and doesn’t give a lot of answers. But thinking about Hannah and how she deals with things might get you to make your own. 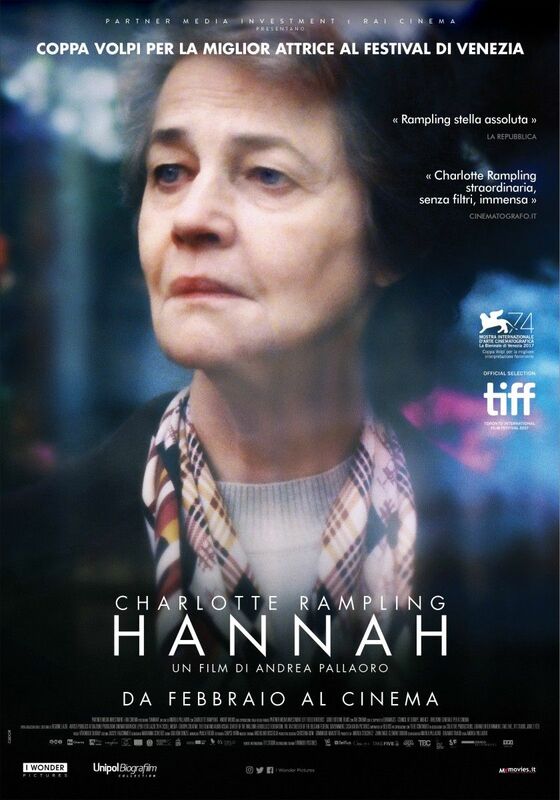 This entry was posted in movies and tagged 2017, André Wilms, Andrea Pallaoro, Charlotte Rampling, Hannah, Julien Vargas, Orlando Tirado, Simon Bisschop, Stéphanie Van Vyve, Viennale by kalafudra. Bookmark the permalink.